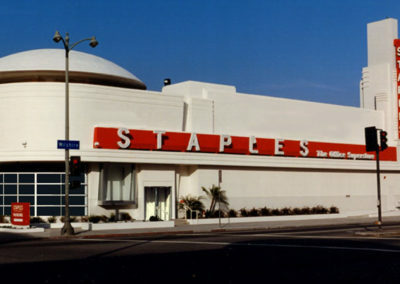 The Miracle Mile in Los Angeles contains several of the best examples of Streamline Moderne structures around. 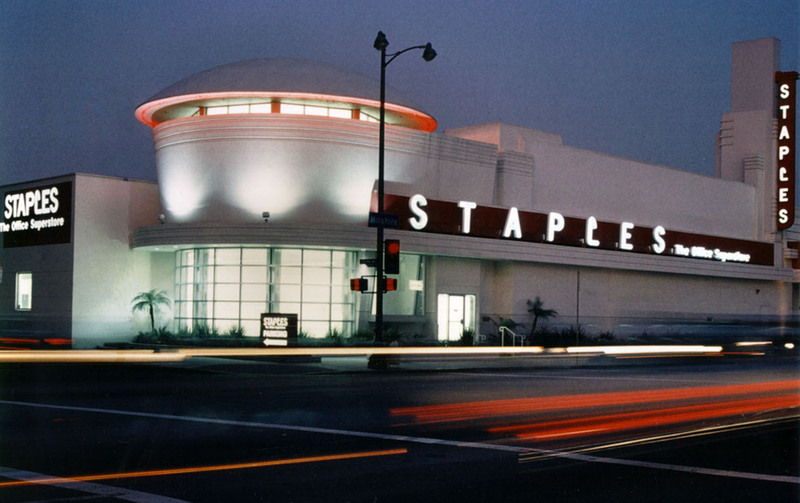 With the rise of automobile culture, the area was radically changed and needed to be reincorporated into the urban fabric. 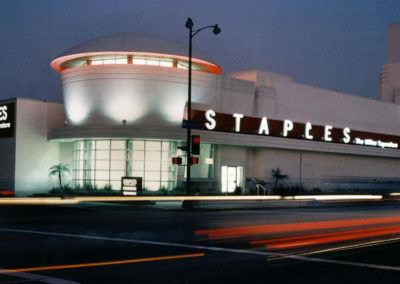 Staples Office Supply found a refreshing change from the standard big box with inspiration from the old “Flying Saucer” restaurant previously located on site.